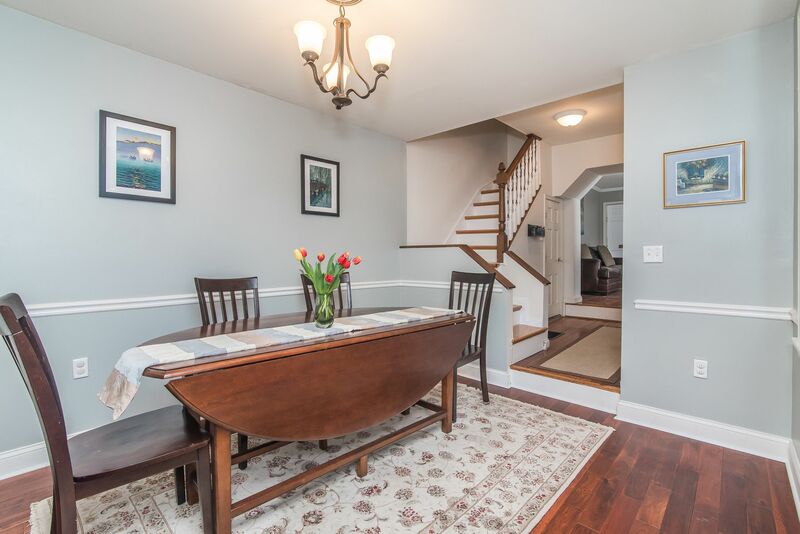 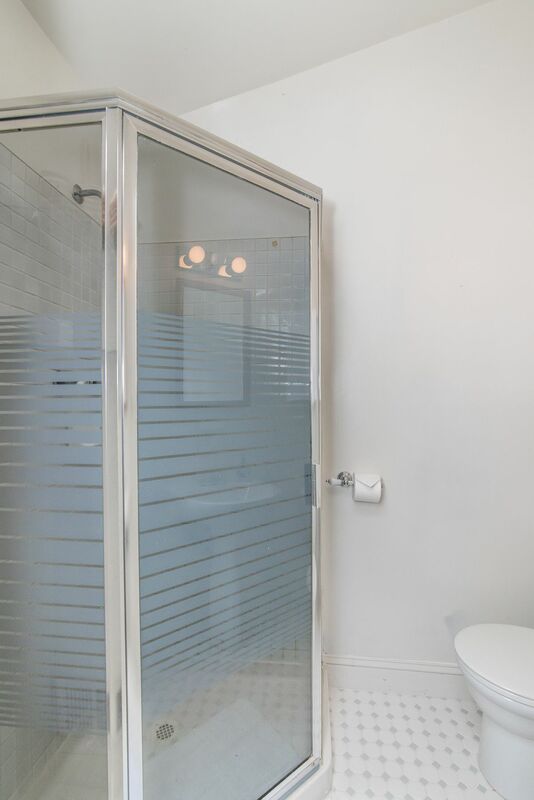 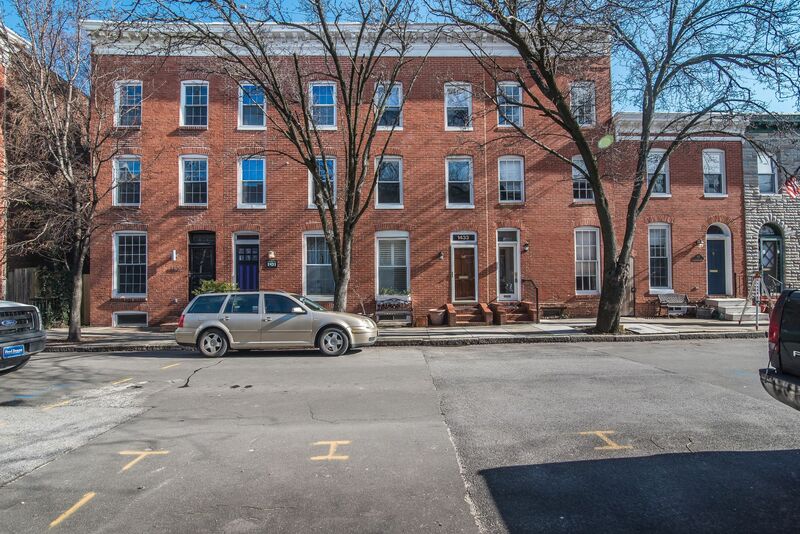 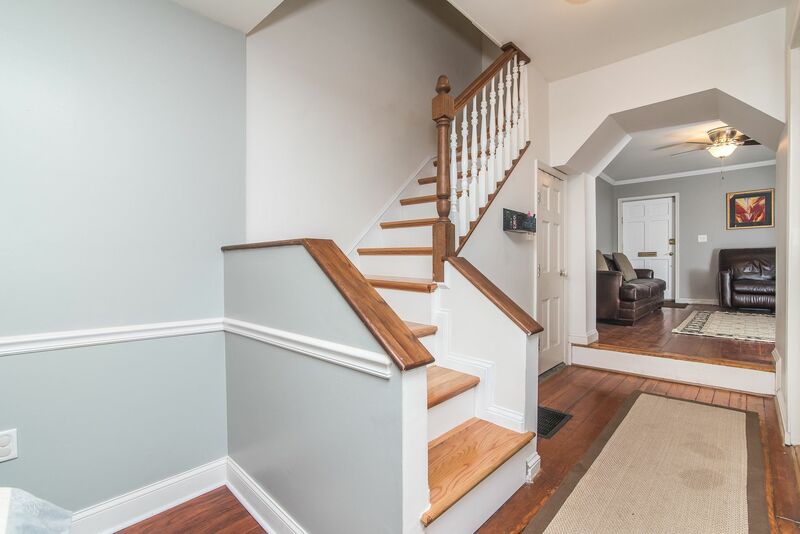 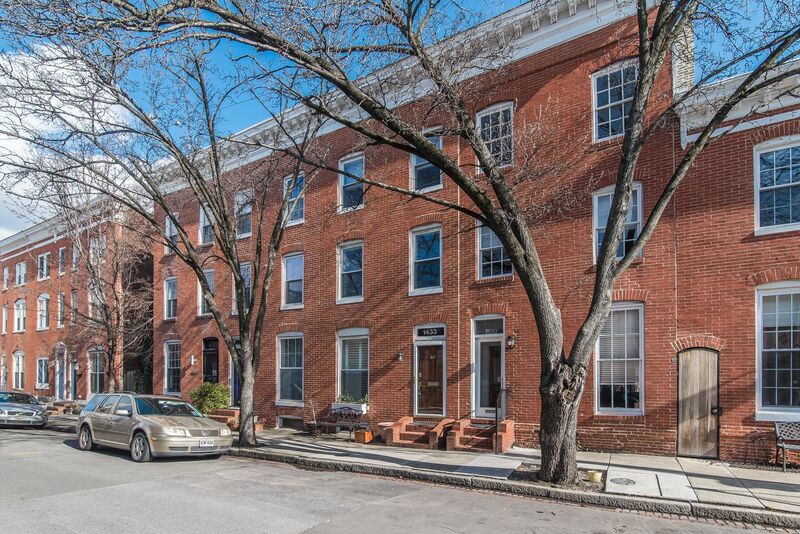 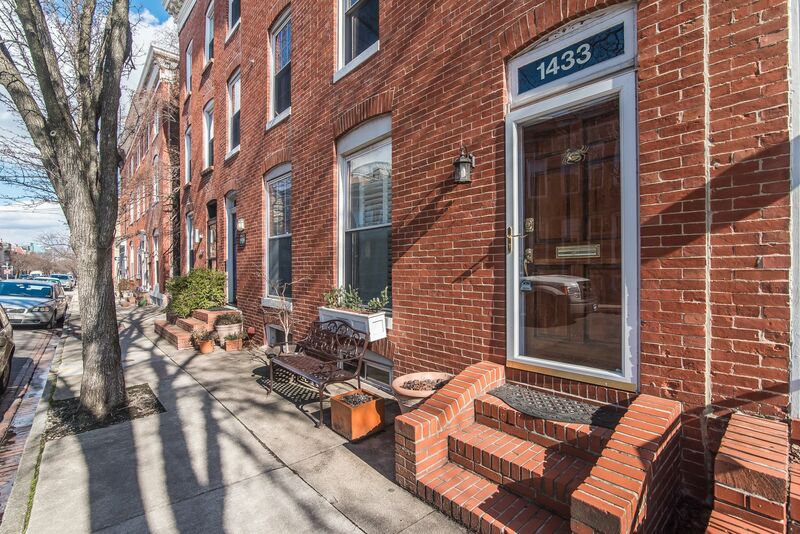 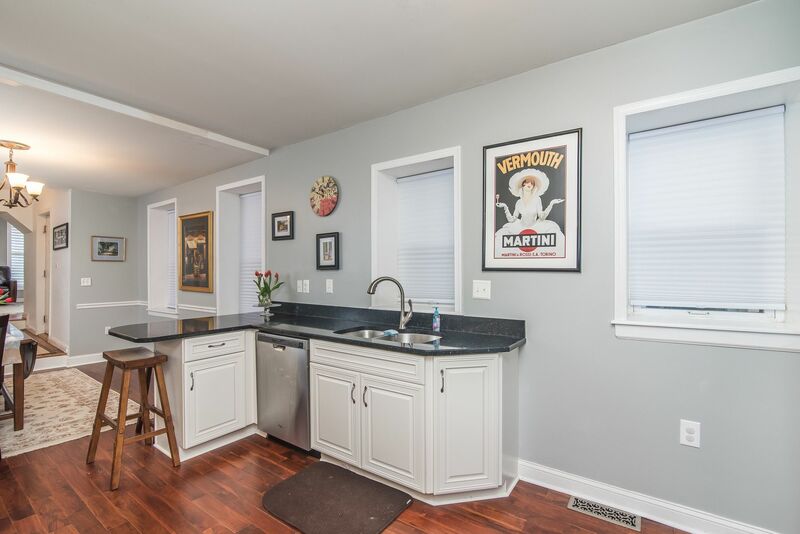 Character features meet modern conveniences in this lovely 1800 SF home! 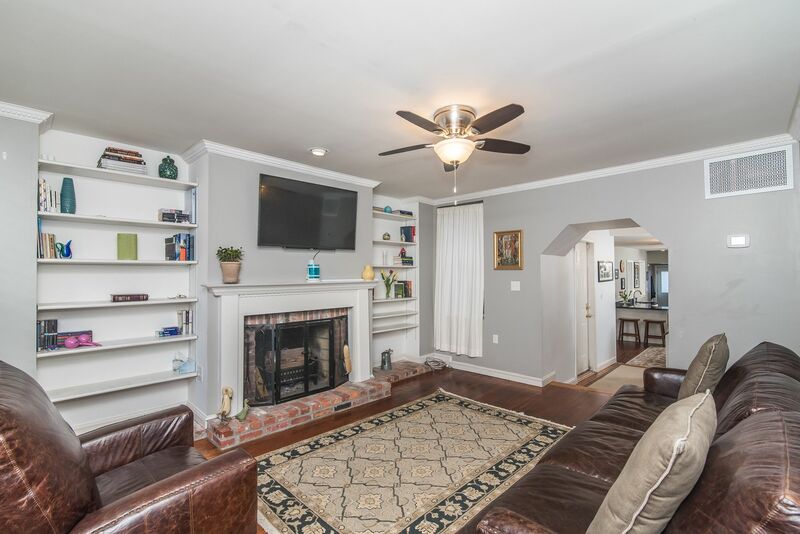 Main level entry to wide living room With random width orig pine hardwood flooring, inviting wood burning fireplace (1st of 2 fireplaces), mantel, built in shelving, leads to center hall area, dining room, gorgeous kitchen (renovated 2015) has 42 inch cabinets, maximizing use of space, soft close drawers, large pantry, upgrade stainless steel appliances including gas 5 burner stove, quartz counters w island, under cabinet lighting, tile back splash & more. 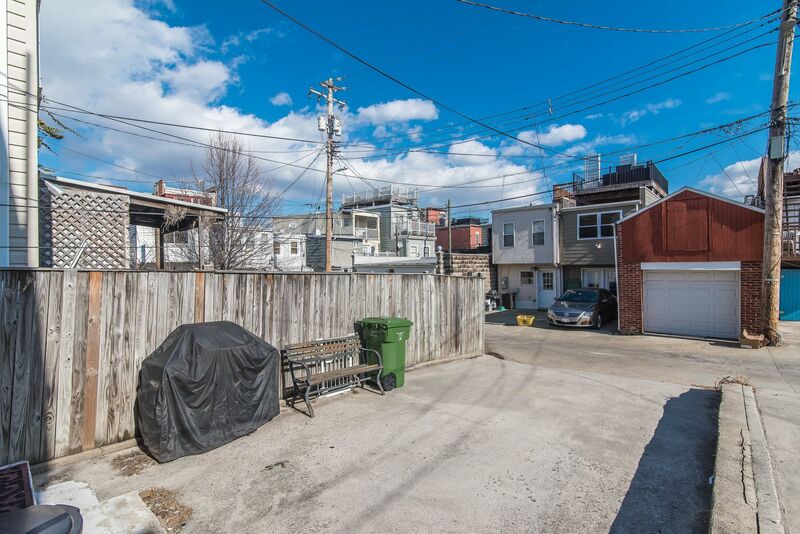 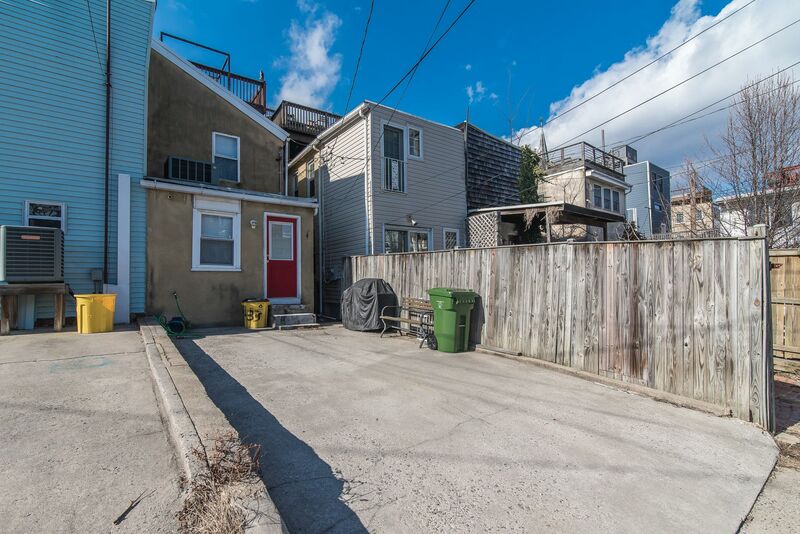 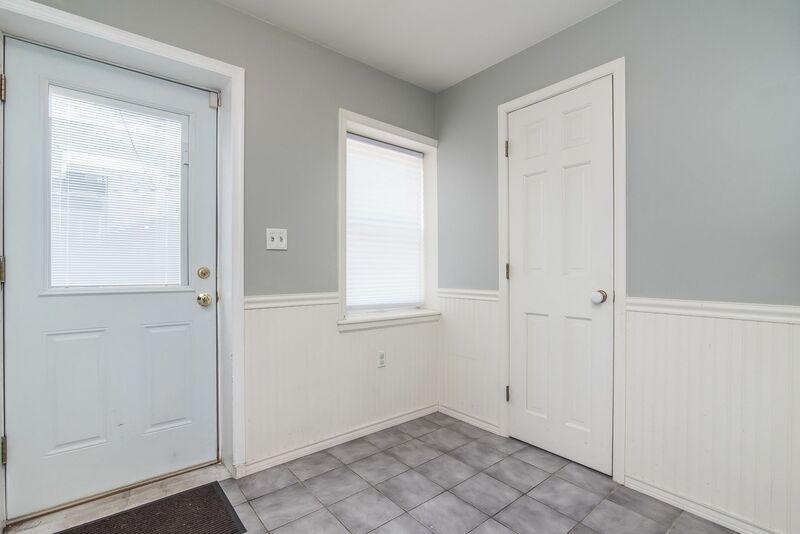 Rear mud room area, half bathroom, & walk out to spacious parking pad (lot is 15 x 90). 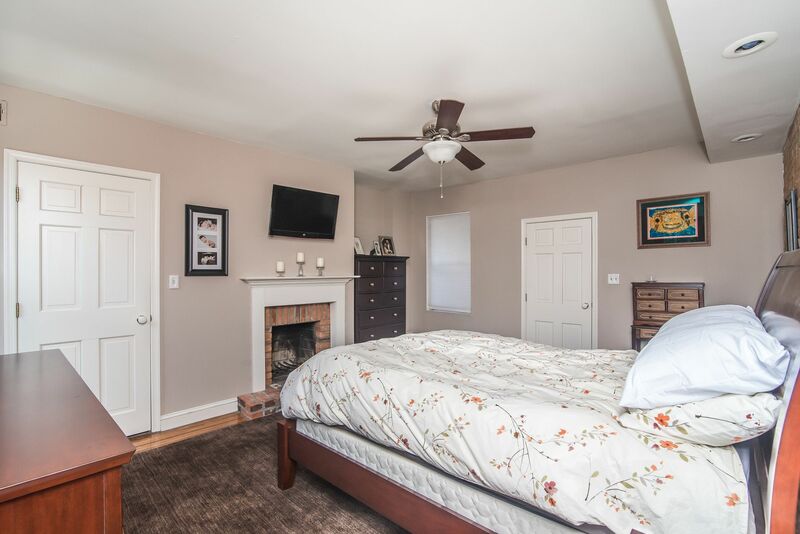 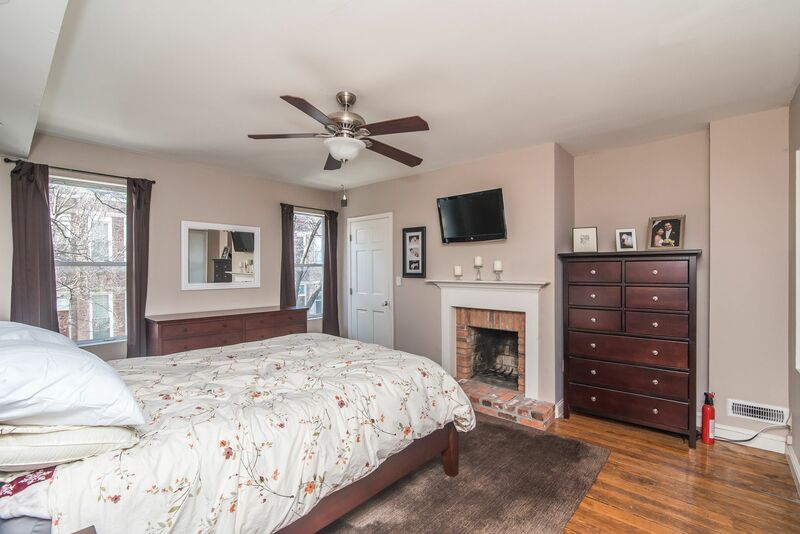 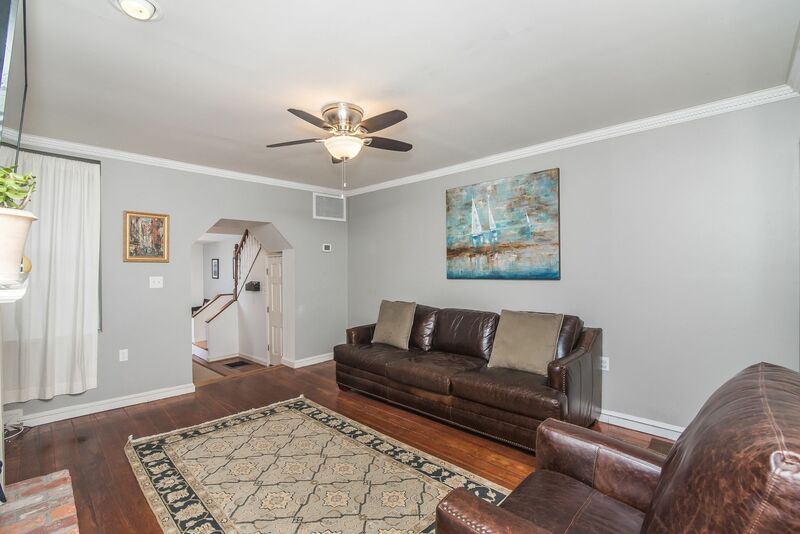 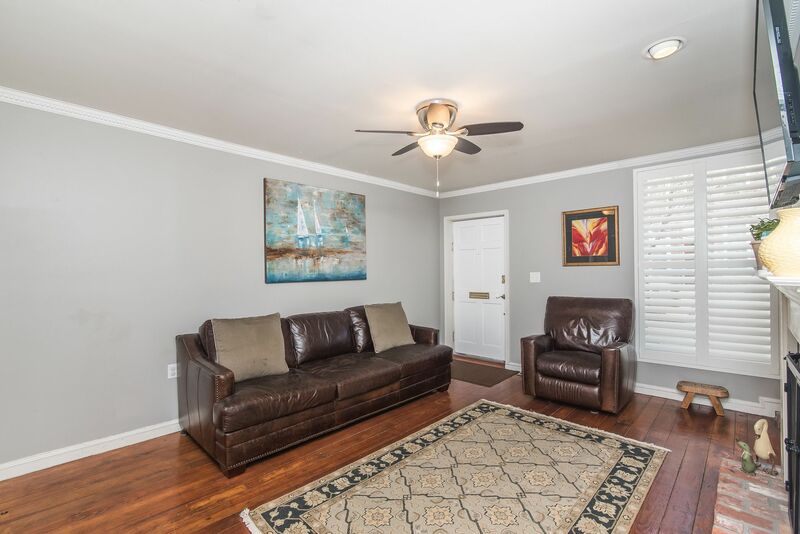 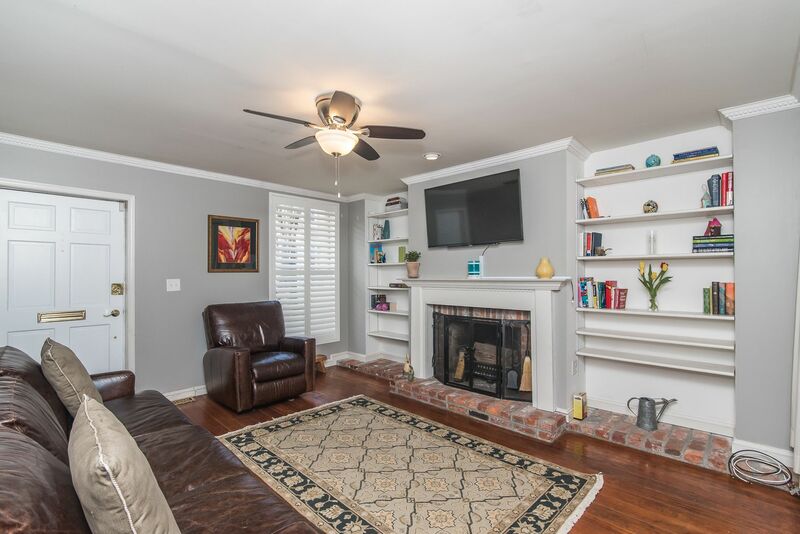 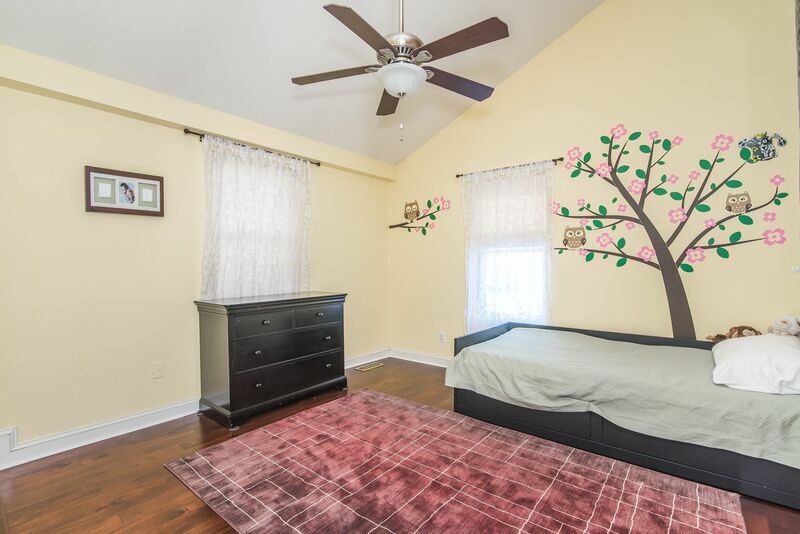 Second level has wood floors, 2 spacious bedrooms, including master with working fireplace! 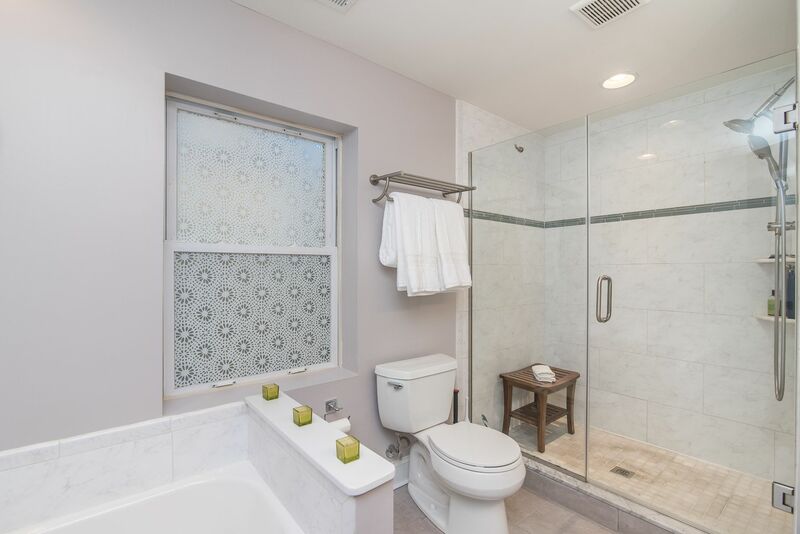 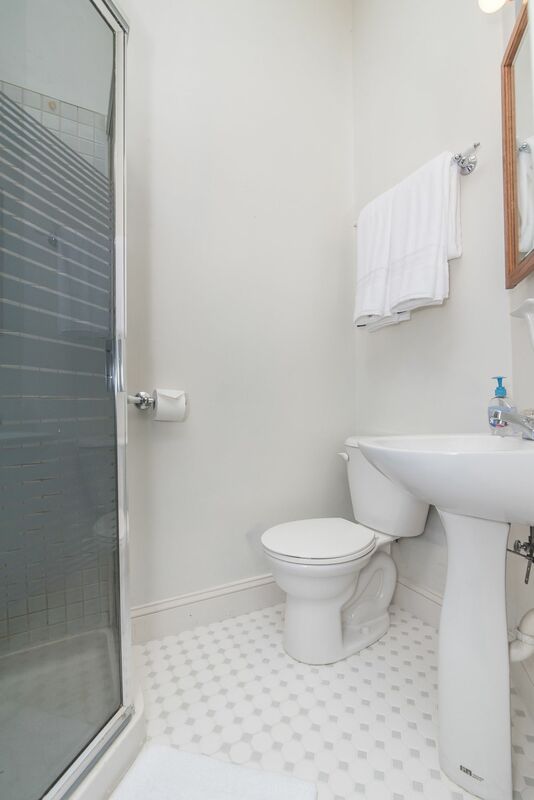 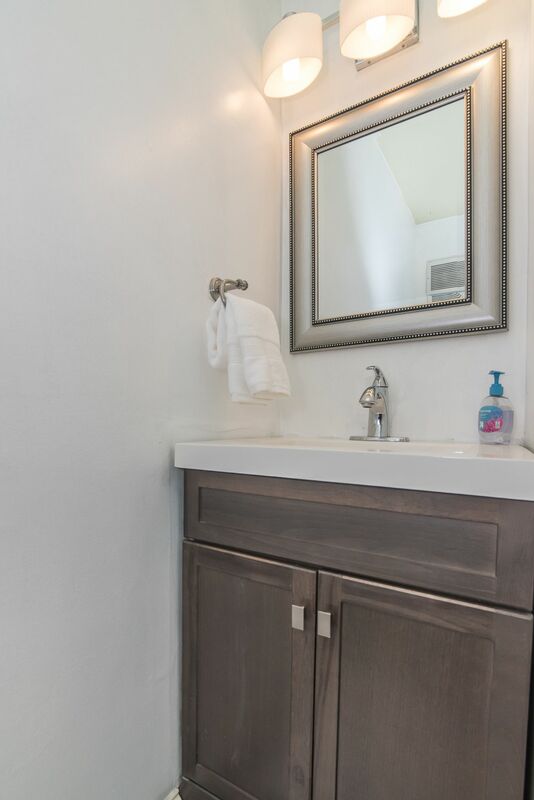 Remodeled (2014) bathroom w walk in shower, separate tub, double vanities & more. 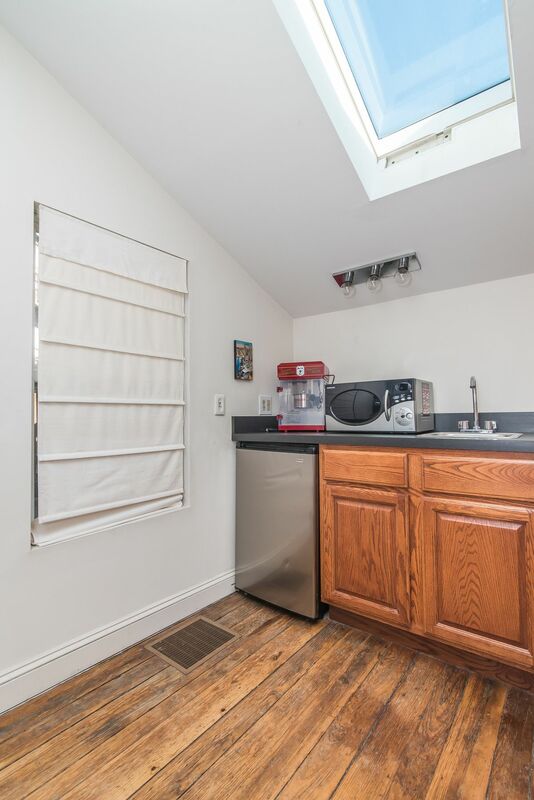 Laundry conveniently located on this level. 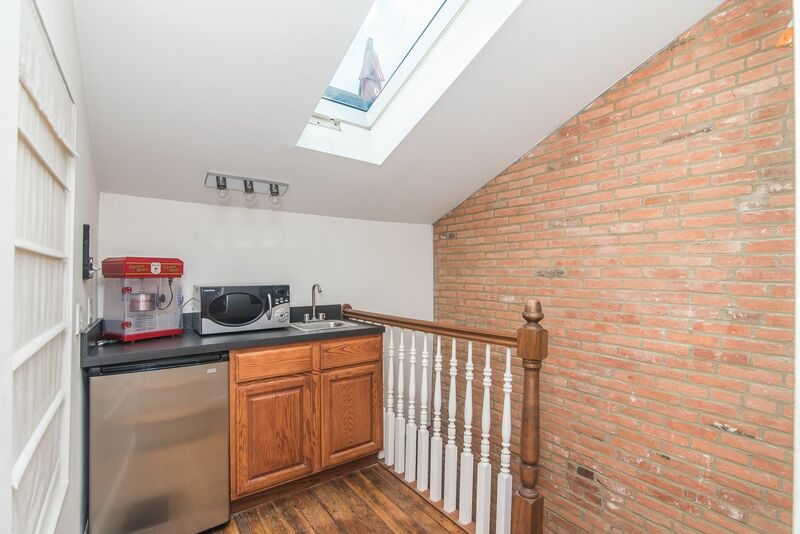 Continue to 3rd level w vaulted ceiling & 2 sunny skylights. 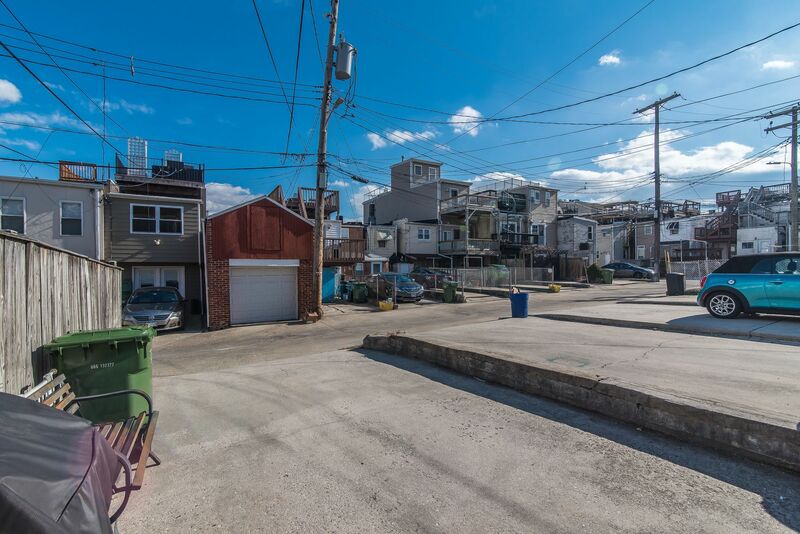 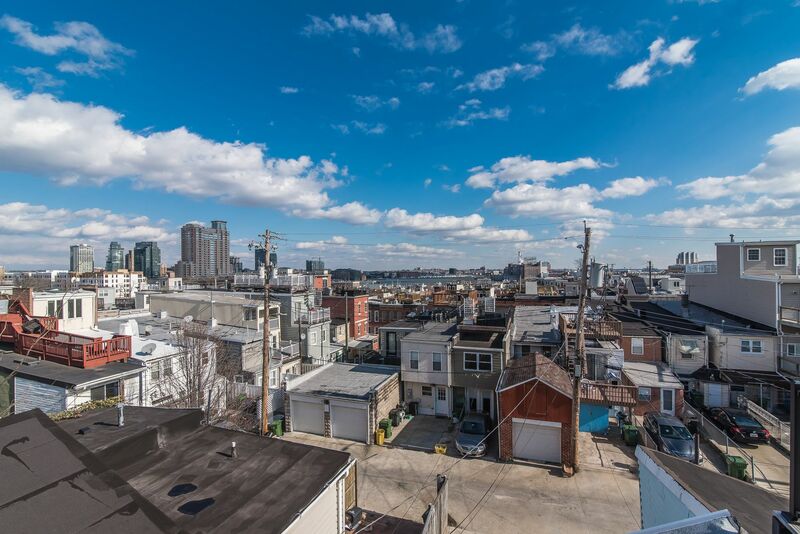 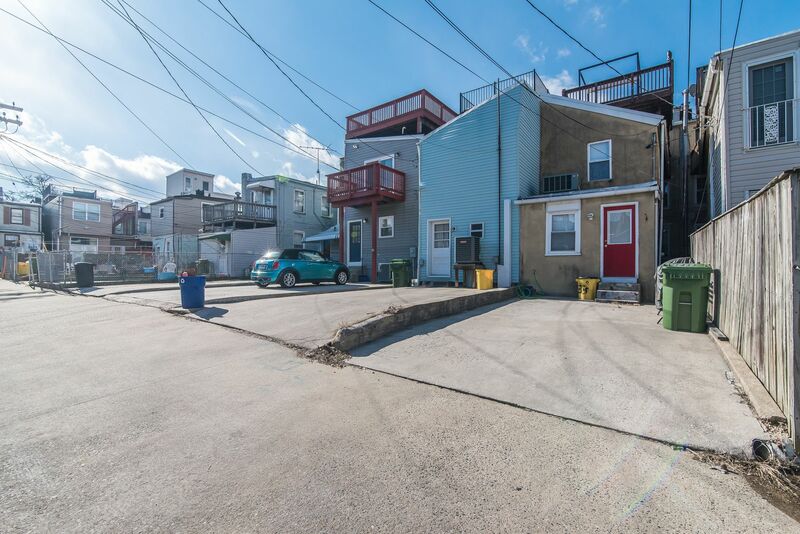 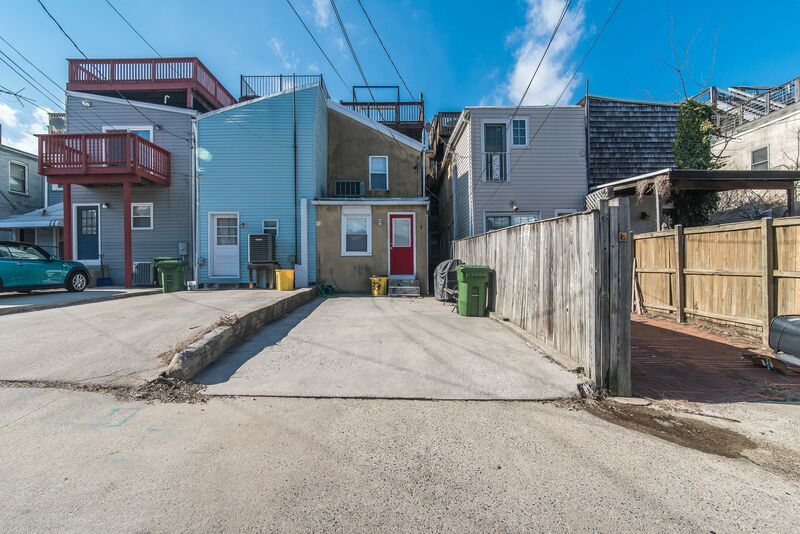 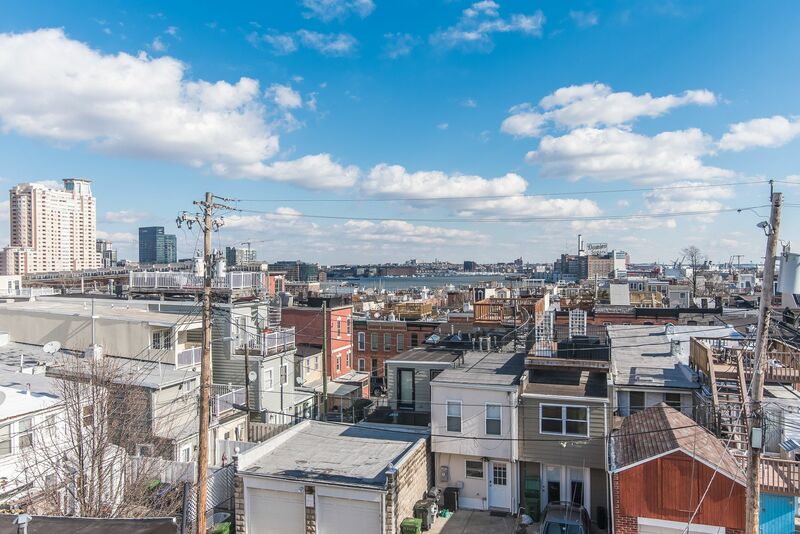 features include 3rd bedroom (currently used as family room) full bathroom, wet bar and door to roof deck with water, electric and fabulous water/domino views - ready for entertaining! 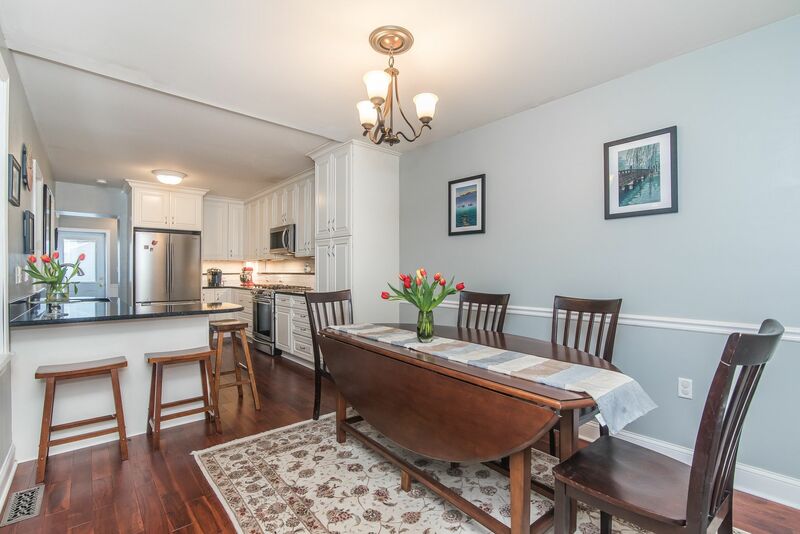 Just steps from Riverside Park! 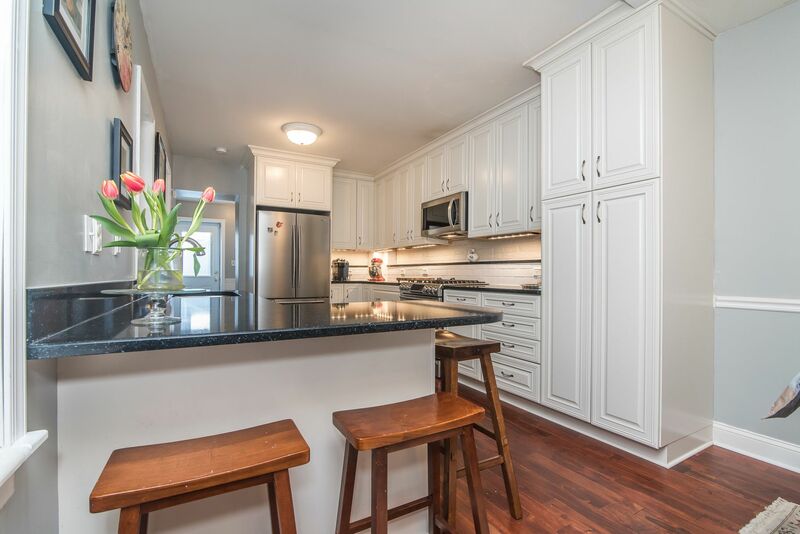 Build in shelving and gleaming hardwood floors! 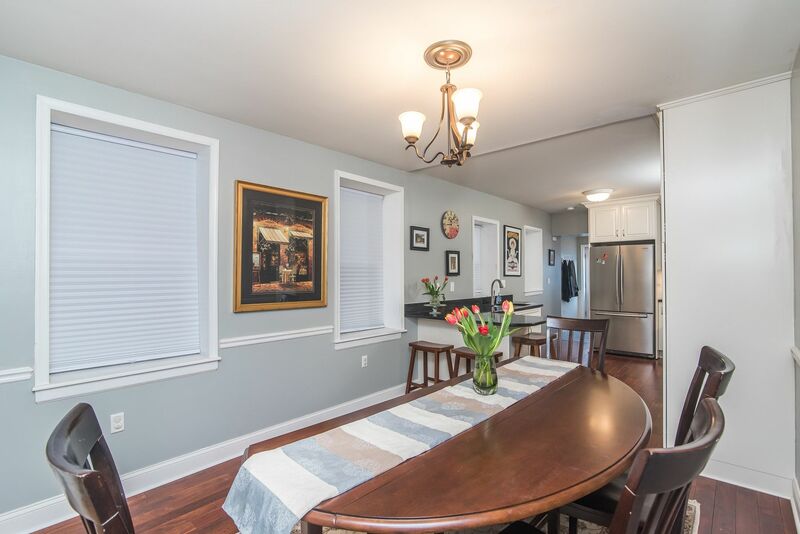 Formal dining room space, open to kitchen! 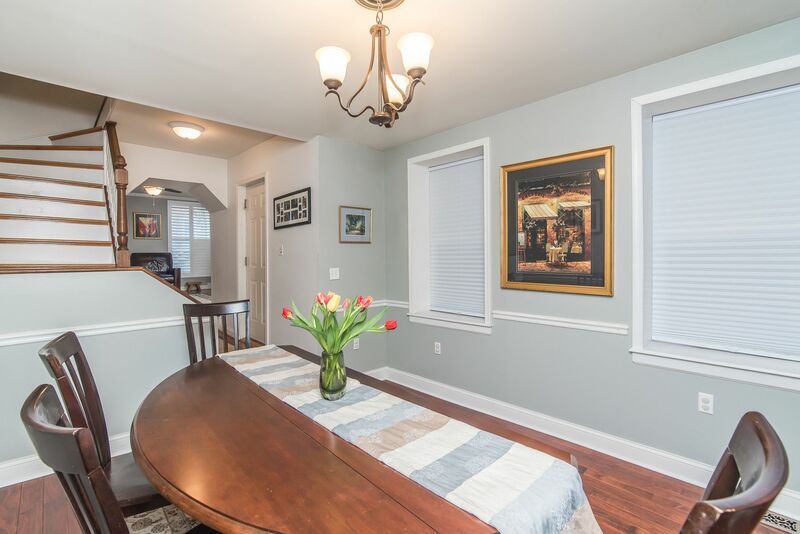 Chair rail moldings and Picture frame moldings!! 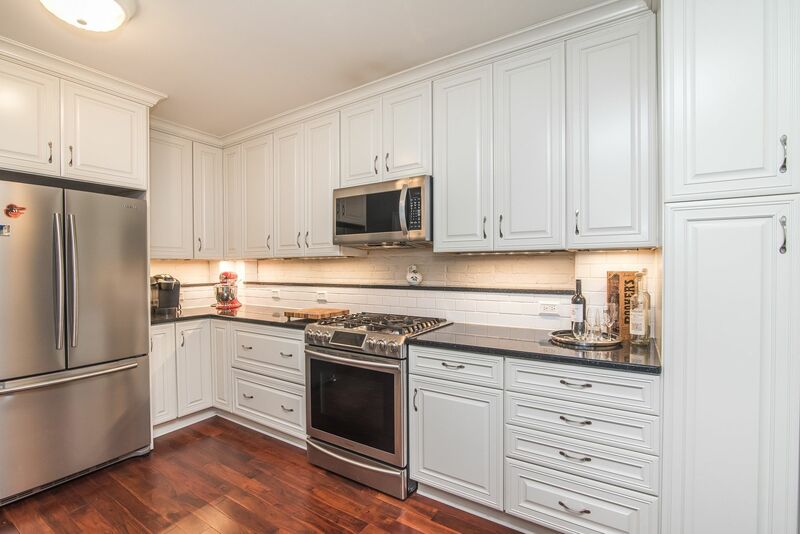 Stainless appliances and breakfast bar! 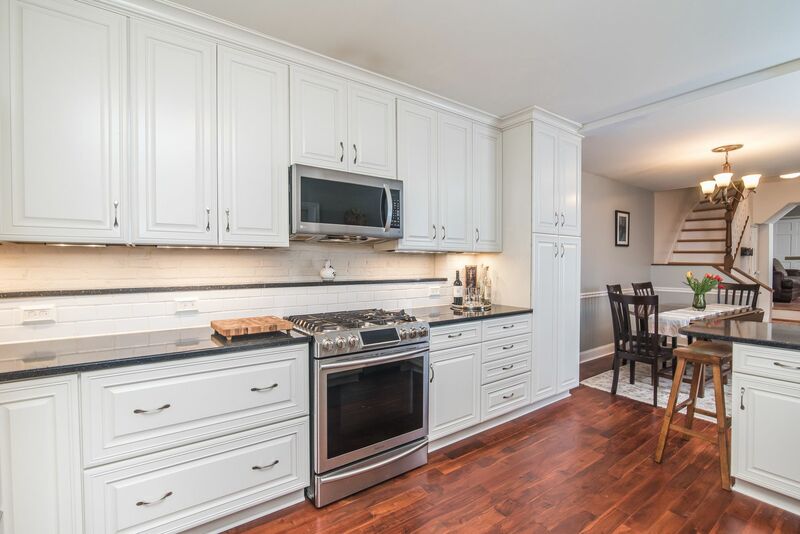 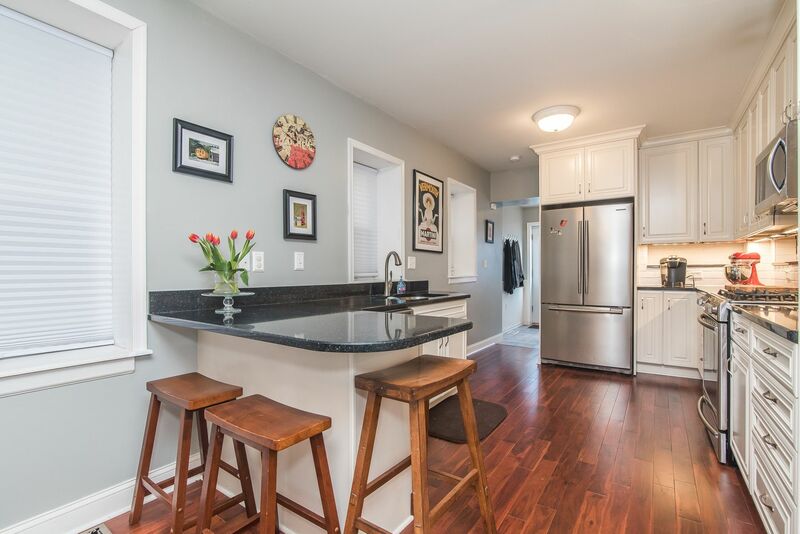 Gleaming hardwood floors and spacious kitchen! 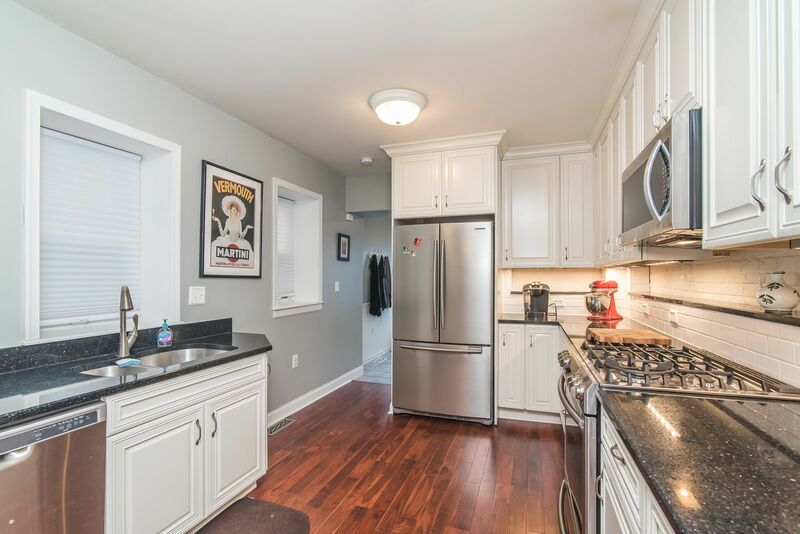 Check out that counter space! 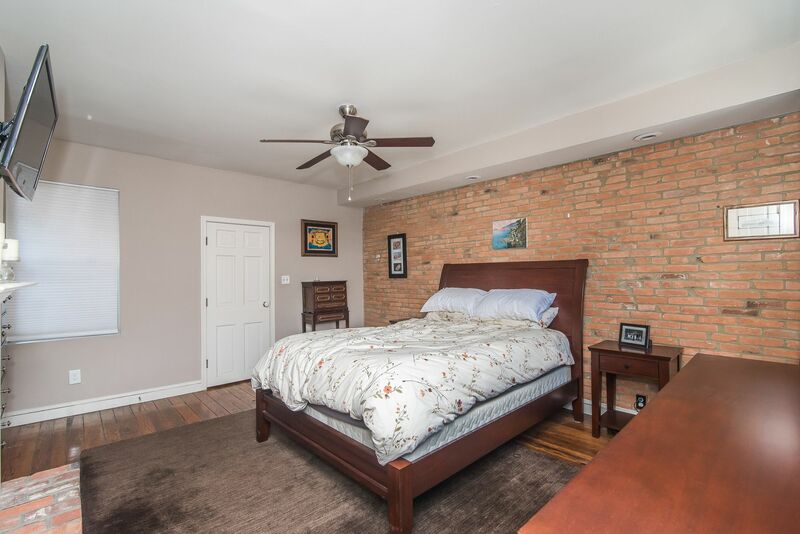 Spacious bedroom with tons of natural lighting! 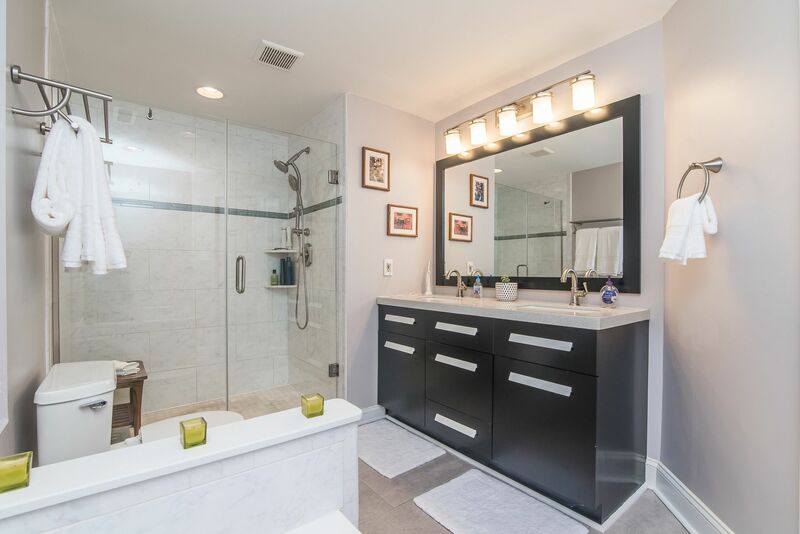 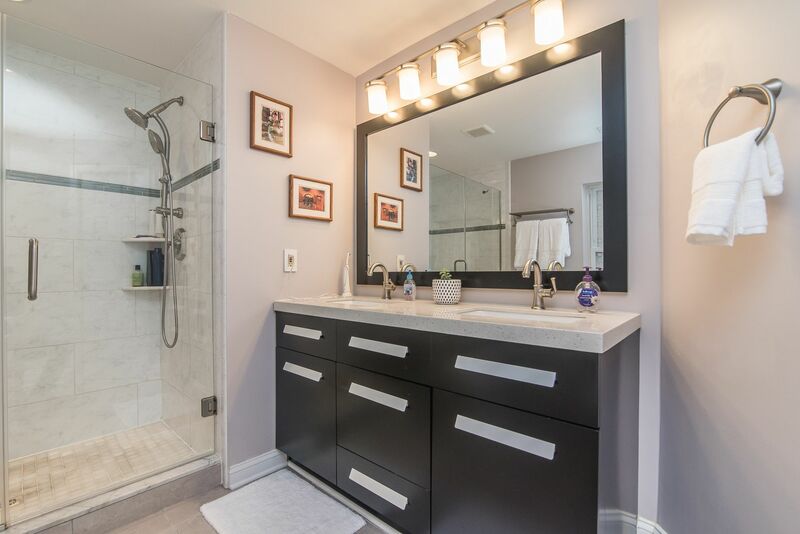 Recessed lighting, soaking tub and standing shower! 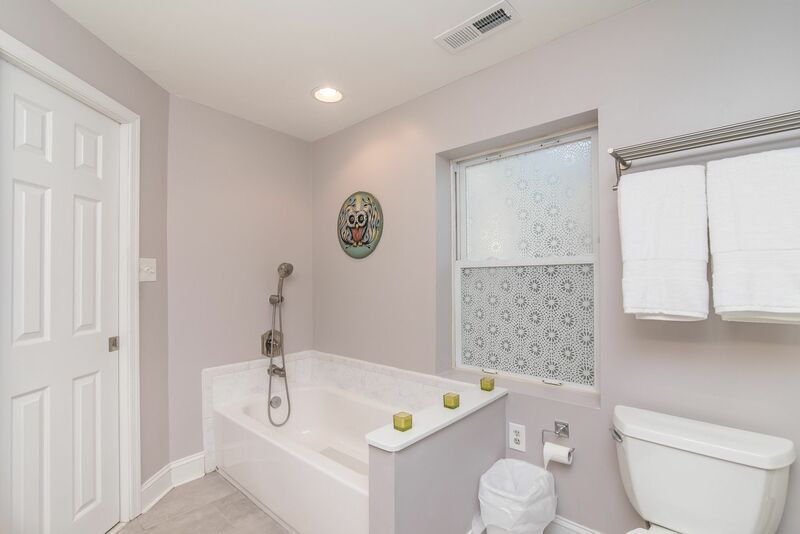 Recessed lighting and soaking tub! 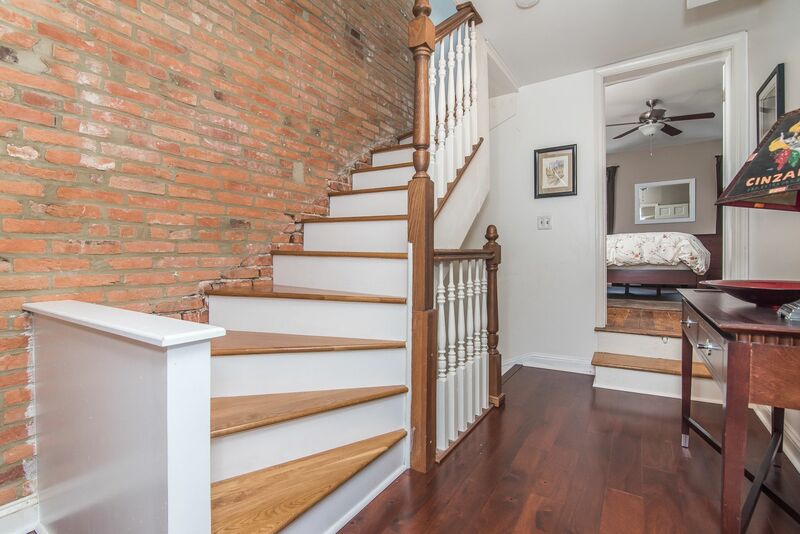 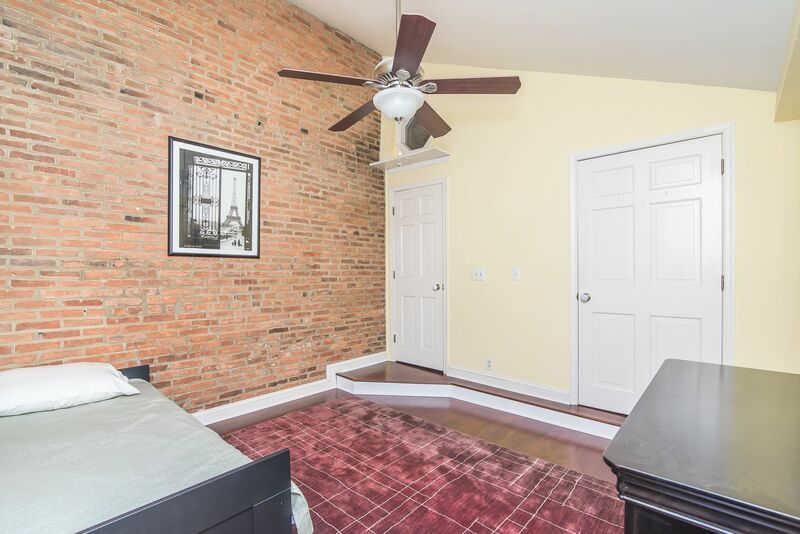 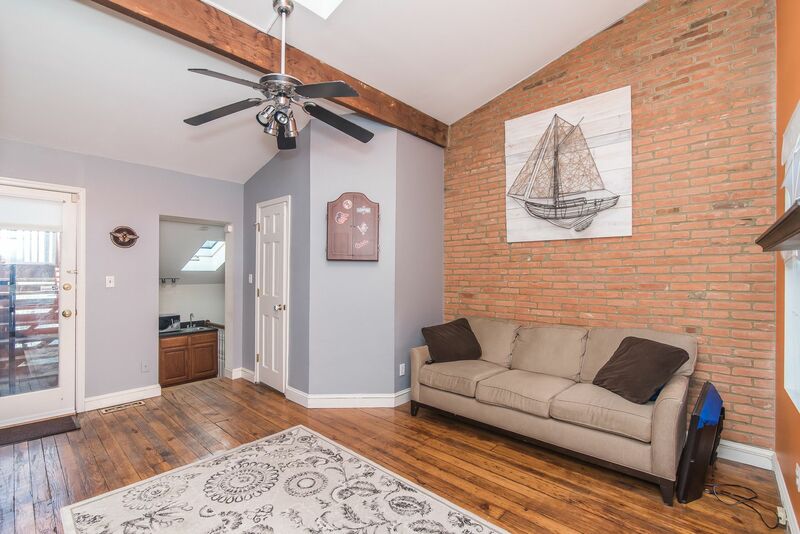 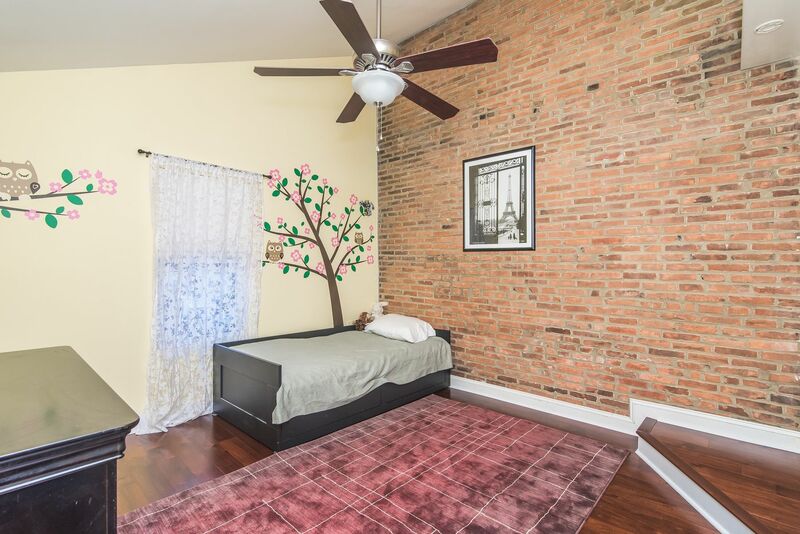 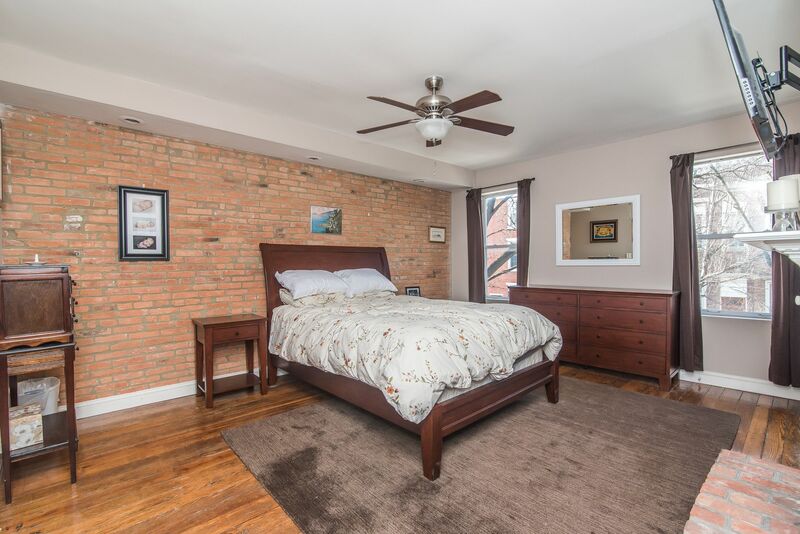 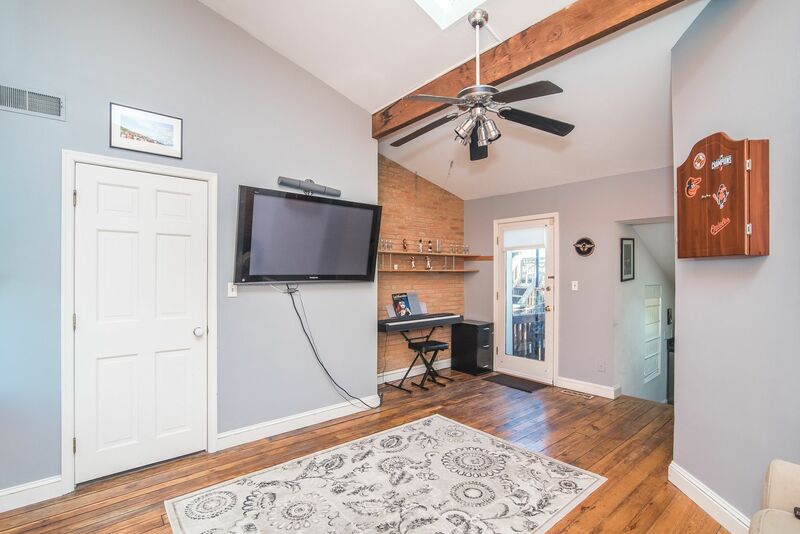 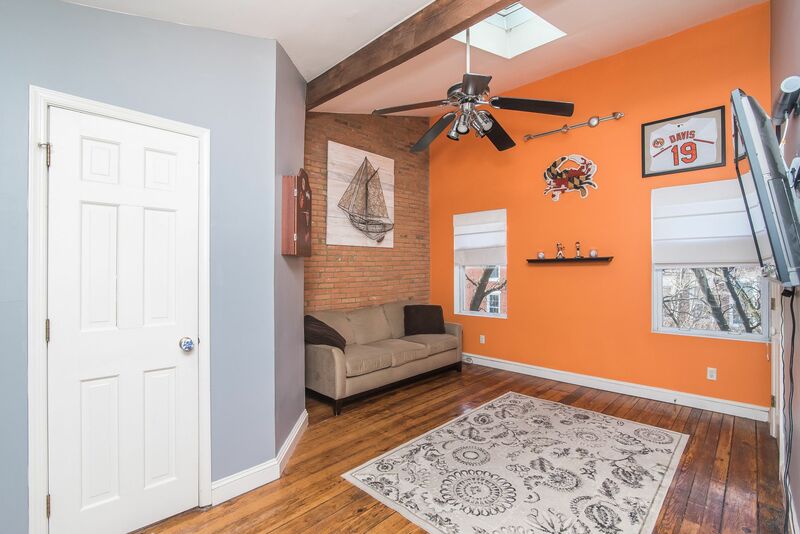 Gleaming wood floors, exposed brick and more! 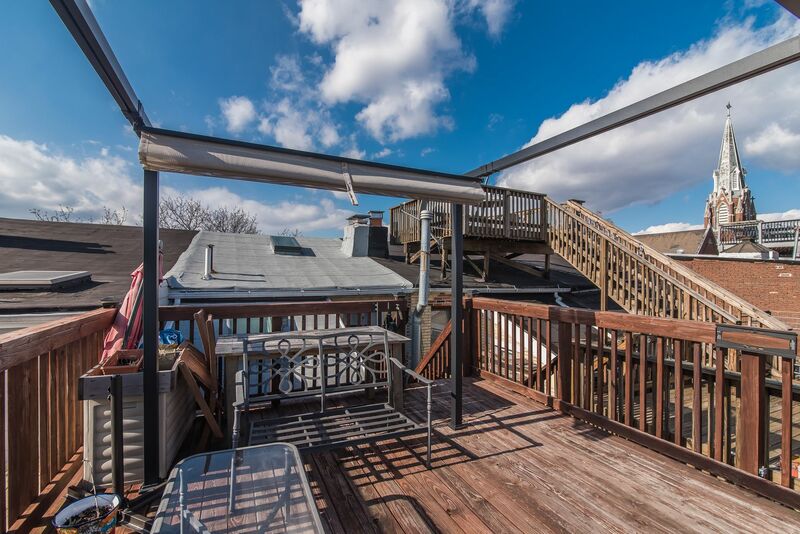 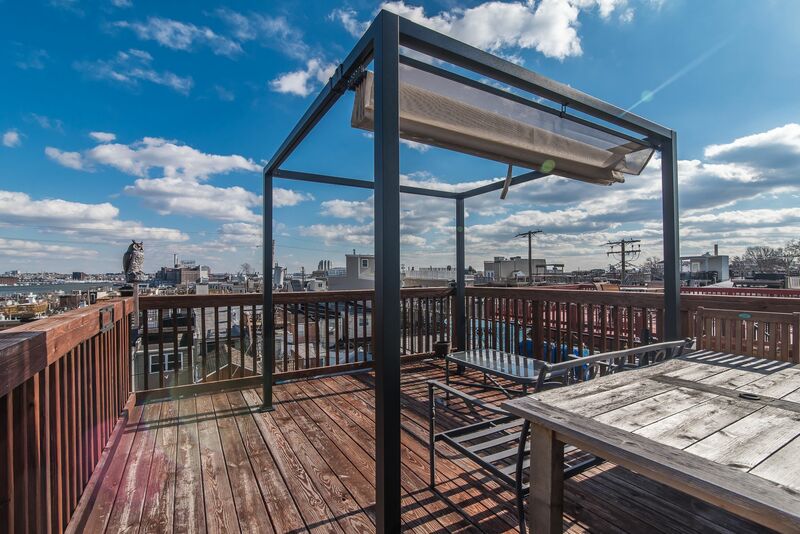 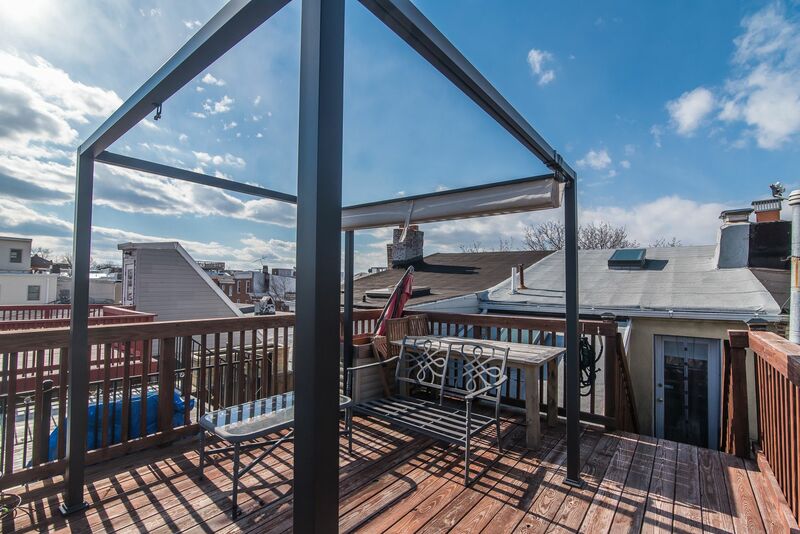 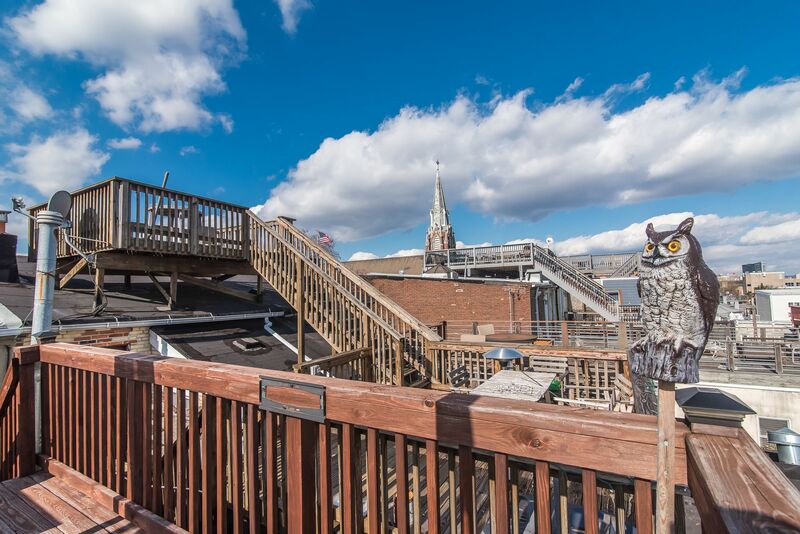 Rooftop deck, great for entertaining!